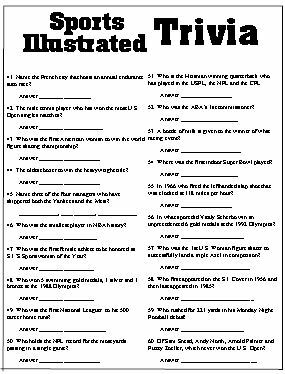 Sports Illustrated trivia questions from your S. I. 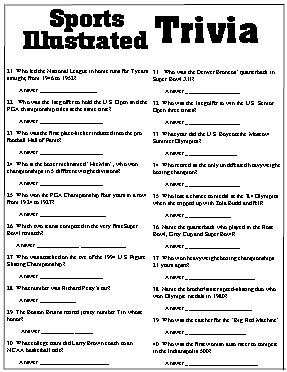 Sports magazine. 1. 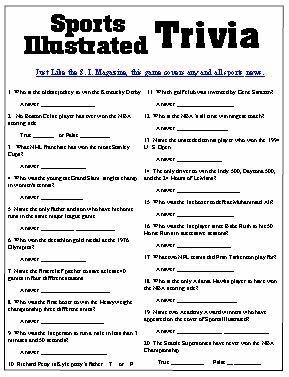 60 total questions on all Sports. it could be a question here. and Another 20 S. I. Covers any and All Major Sports and Olympics.